For quite a while now I have been feeling called to live a simpler life. There is so much over consumption in our society and I have wondered, not only, does having more lead to happiness, but what is this over consumption doing to the earth we are so lucky to inhabit. As a mother and grandmother, I am concerned about the environment we are leaving those who come after us. Our landfills are clogged with discarded shoddy products Made in China, as we compete to have the latest fashion and technology. This is one of the reasons that I love selling vintage and antiques. It is a way to preserve what we already have, by reusing and repurposing. So, in my own pursuit of a simpler life, I will be sharing my thoughts and ideas on how I can achieve that. I am kicking around the idea of having a linky party where we can share how we are repurposing and reusing. In the meantime, here are some great ideas from Pinterest. 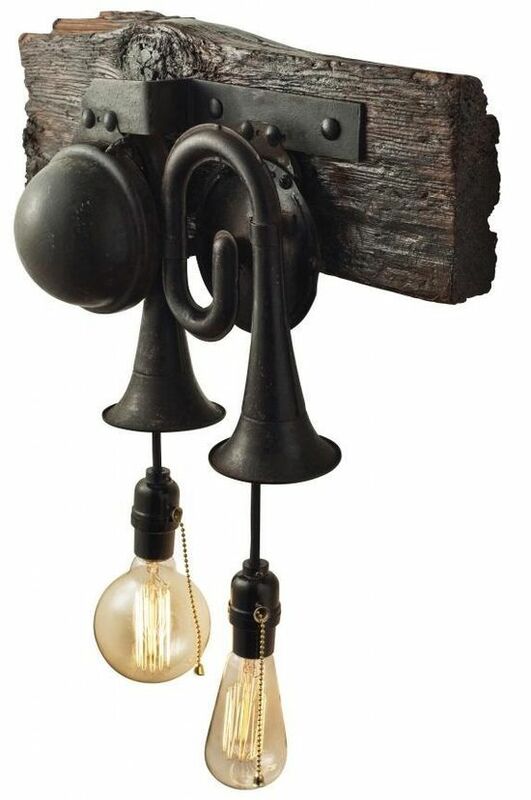 Lighting from repurposed vintage car horns. Headboard made from old picket fencing. I have just added a new repurposed and upcycled Pinterest board. Would love to have you follow along. Simple living is my aim too. It would be great to share ideas. I try to buy locally made products, sometimes more expensive but almost always better quality. It keeps money in the community which benefits us all and provides work for local people. Genius. Love the crib porch swing. 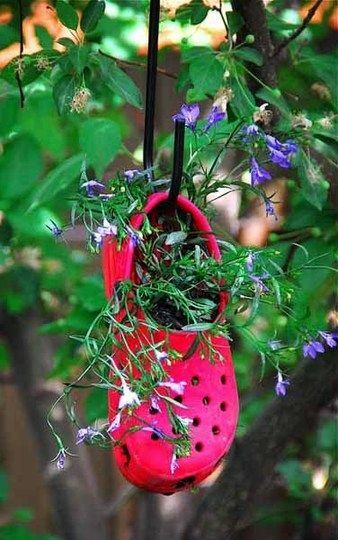 I dont know about the crock planter... but I love seeing old items re purposed rather than just becoming trash. Great stuff! I felt that call about seven years ago and answered it. I am so thankful I did. I have quite ways and simple needs. I have always been a small moments person, As my life became more simple it also became happier and so very peaceful. Hey girl, just wanted to check in on you and see how things are with you. Love this post and I totally agree. You will have to update me on your status!! I'm so behind. Love your new look on the blog. This is one of the reasons I shop at thrift stores. I don't like throwing things out and do my best to check with friends and neighbors to see if they can use it and if not we donate it to a local thrift. I find that having less is more. I'm quite simple, but do have a weakness for flip flops and purses/bags...lol I do my best not to buy products made in China. Great post! I am so in love with that porch swing. Gorgeous!! Laura... what an adorable post. My favorite is the crib/swing. Hope you are doing well with this big court date coming up. I say a little prayer for you every night. Hi Laura, Such a wonderful post. I agree.. we all need to focus on simplicity .. or to simplify. My husband is always saying that antique shopping is the ultimate in recycling! 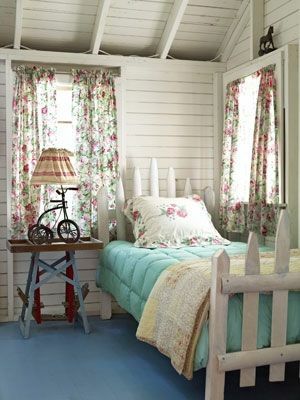 I like the little picket fence around the bed. Laura, I seem to be hearing the call to a simpler life also. Love the shoe planter! Pinned it. I am still working on downsizing my 'stuff'! Laura, a great idea, and I am a follower of your board. I think we as a family have always lived within our means, which meant not buying everything we saw. And now my husband and I strive to live with what we have, instead of constantly getting new from China...sometimes I miss the mark. But it's baby steps, and it's so worth it. I feel the same way about using old things. I'd much rather have something old than new. These are all such clever ideas! My husband and I have talked about living simpler for so many years that I don't think we actually know what that means anymore. Nothing is simple - the sad thing is - WE complicated it. Moving to the country and raising chickens sounds a little simpler. Reusing is one thing I can say I do to be a little simpler on the "consumer" side of things. Love new boards, Laura. You have up cycled to the nth degree. 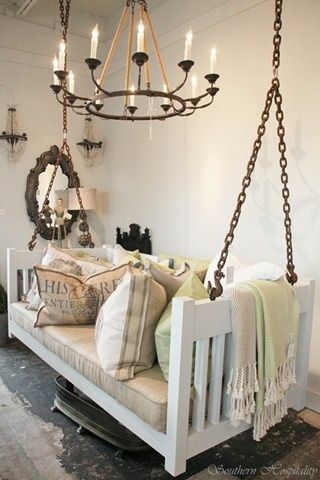 Love the repurposing ideas you choose to show us the crib to a porch swing was my favorite. I love buying old things that were used before I bought them. They are cheaper and most of the time a lot prettier than what I would buy new. 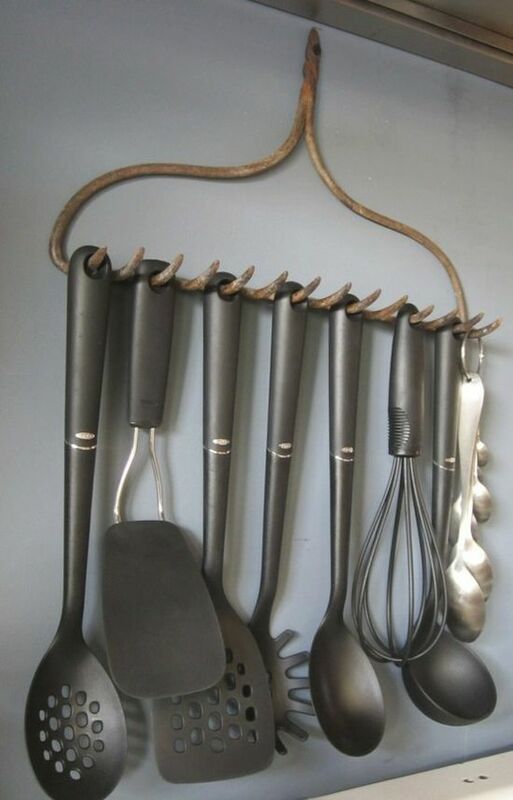 I love the look of how those items were repurposed. 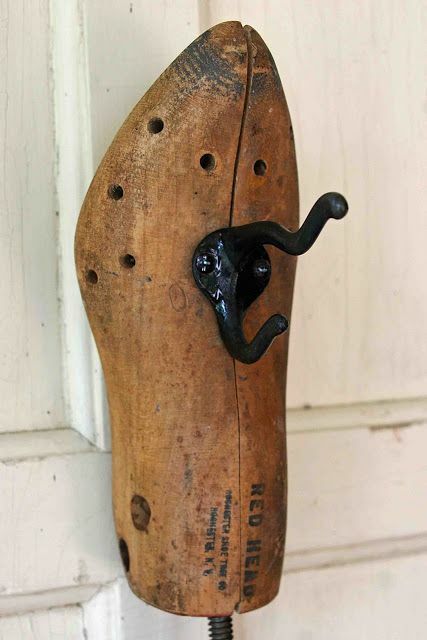 I think the shoe stretcher is adorable being used as a coat or towel holder. Things just aren't made with the same quality that they used to be, so vintage is great! I love the link party idea! :) I re use allllll the time.